I have been reflecting this week on Peter and Judas' story in the final hours of Jesus' life. I keep asking myself over and over Why did two of his disciples have to do this to him? Wasn't it enough that the Pharisees and the other Jews called him a blasphemer and condemned him to die as though he was a common criminal? Take Peter. He told Jesus, "I'm ready to die for you." (John 13:37) Yet, Jesus already knew that Peter was going to deny him not once, not twice, but three times. Why? Peter chickened out at the last minute. 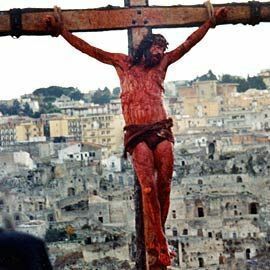 He was so afraid that the crowd would beat him or kill him because he was a disciple of Jesus. I let this soak in. How many times have I denied Jesus? Was it because I was at risk of being physically beaten by an angry crowd? No. Was it because I was being completely selfish and prideful? Yes. I remember a time several years ago when I flat out denied Jesus. Someone threw out a comment that we were so blessed. "No," I said, "we are lucky." "Blessed," the man said back. This statement had a more profound impact on me because this was a man who was telling me how blessed I was because of all the things I have in life and he was a man who lived in a pay-by-day hotel. I couldn't look him straight in the eye and tell him I was blessed so I denied Jesus' power and hand in my life and went with the worldly "lucky." What happened to Peter in the end? Did Jesus cut him off? No. After Jesus' resurrection, we find Peter among the disciples who were holed up trying to figure out what in the world took place and what in the world they were supposed to do now. Jesus appeared to them and breathed the Holy Spirit into them (John 20:19-23). And still after the disciples appeared to be struggling with what to do with their lives after Jesus' death, they returned to their normal life. While some of the disciples were fishing, Jesus appeared again. After catching a bunch of fish, they returned to shore to see that Jesus had prepared breakfast for them. 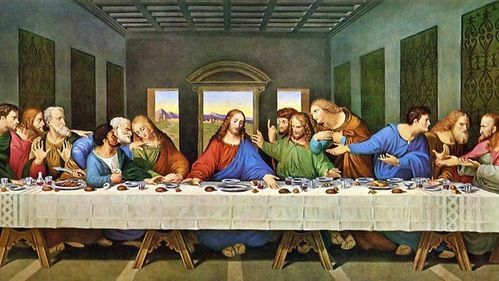 It was during this breakfast that Peter was restored. Peter still struggled with pride even during this conversation. John says that Peter was a little ticked off that Jesus kept questioning his love and even questioned Jesus as to whether the disciple John was going to have to die in order to glorify God too (John 21:1-23). Peter gives me so much hope! No matter how many times Peter failed to provide the right answer or do the right thing, Jesus kept giving him chances to restore himself to a right relationship with Him. In the end, Peter did do what he was called to do and did, in fact, die a martyr's death. And then there's Judas. I don't hate Judas. I don't have anger toward Judas for turning Jesus into the religious leaders. Why? Someone had to do it. Someone had to fulfill the prophecy. I actually feel sorry for Judas. Can you imagine walking with Jesus as his disciple; seeing Jesus heal people live and in person; experiencing his teaching? And yet, Jesus said to Judas, "Hurry and do what you are going to do." (John 13:27) Jesus told his disciples that someone was going to betray Him and it would be the one to whom he gave the bread dipped in the bowl. Judas had been a disciple, but he wasn't completely on the narrow path was he? He was the treasurer and liked to skim a little money off for himself. Remember how he yelled at Mary for using the expensive oil to wash Jesus' feet? He wasn't really wanting to give that money to the poor like he claimed (John 12). Jesus himself said that he chose the twelve disciples (after many of his other disciples had deserted him), but one was a devil (John 6:70-71). Because Judas was so wrought with despair, he ultimately killed himself. What a tragic end. He played a much needed role in God's plan, but why couldn't he be restored to the Father for his sin? His is a very sad reminder that some who claim to be followers of Jesus aren't really personally committed to Him. These lives are built on shaky ground and when waves of despair or incredible temptations come about, they don't have the power of the Holy Spirit living within them to draw nearer to the Father. How do I know? I have lived in moments of despair and temptation and failed miserably at times. I have felt so alone that I really didn't want to go on either. But I was either too strong or not strong enough because my fate was never that of Judas. I am more of a Peter....I don't always get it right on the first try, the second try, the tenth try, but I know what the best answer is. Jesus did so much for all believers that day on the Cross. I can't even imagine the pain. I can only imagine the agonizing minutes and hours of torture He endured for me. I don't follow Jesus because I feel obligated for His sacrifice. I follow Jesus because He was sent to save me. I am done with the denial and betrayal of this world and feel blessed that He chose me to be one of His. Wonderful blog! Thank you for sharing. Looking forward to following you!